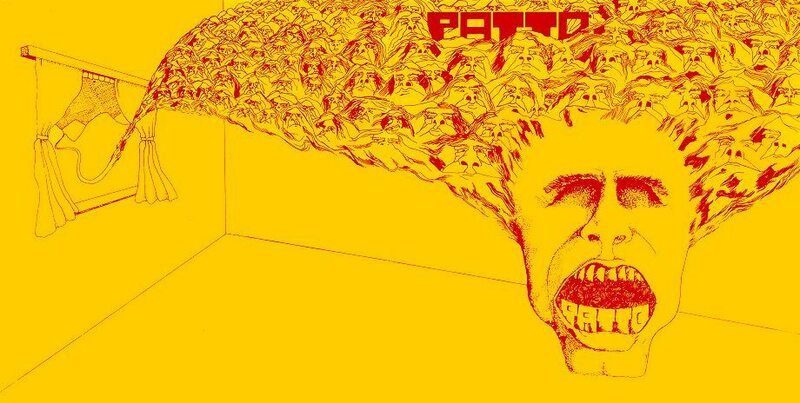 Patto was a progressive jazz-rock band formed in England in 1970 by vocalist Mike Patto with a lineup taken from Timebox consisting of vocalist Patto, drummer John Halsey, guitarist and vibraphone player Ollie Halsall and bassist Clive Griffiths. Timebox developed from a complicated pedigree that included members of The Bo Street Runners, Patto’s People and Chicago Blue Line. This soul psych pop combo, made two singles for Pye’s label Piccadilly, before signing to Decca’s Deram in 1967. They also recorded five singles for Deram between 1967 and 1969 and appeared on BBC radio shows such as Noise at Nine, Stuart Henry on Sunday and Jimmy Young. Keyboard player Chris Holmes left after their last single release and they began experimenting with progressive rock. In 1970, Patto was formed by members of Timebox and signed to the newly formed Vertigo label. With Muff Winwood as producer, they recorded their first album live in the studio. In December 1971, Patto entered the studio again to record their second album Hold Your Fire after which they were dropped from the Vertigo roster. Despite poor record sales, they were becoming known as an exciting live act. Through his connections in England Muff Winwood was able to have the band signed to Island, and they recorded the album Roll ’em Smoke ’em Put Another Line Out in 1972. In 1973, the band began to record their fourth album. Mike Patto wrote songs that were less cynical than the usual Patto material and much more commercial. The ensuing album Monkey’s Bum was not released. Without Halsall and with each member now involved in other projects, Mike Patto chose to disband Patto, going on to form Boxer with Halsall. In 2009, Patto’s song « The Man » was used in trailers for the film, Observe and Report, starring Seth Rogen and Anna Faris and was included along with another track « Sittin’ Back Easy » on the film’s soundtrack.